Experience the dense Cold War suspense and scratch that Twilight Struggle itch in only 45 minutes. 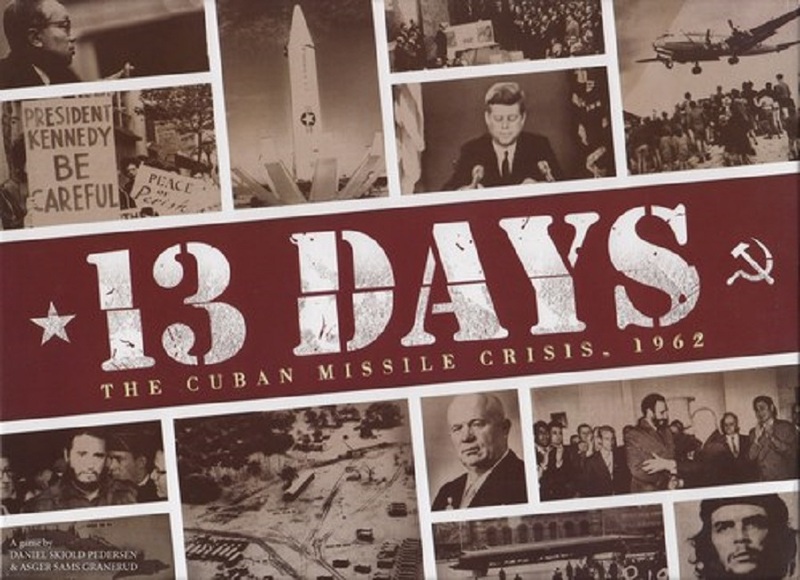 13 Days: The Cuban Missile Crisis is a nail-biting, theme saturated two-player strategy game about the Cuban Missile Crisis. Your fate is determined by how well you deal with the inherent dilemmas of the game, and the conflict. 1) Will you push to gain prestige at the risk of escalating the crisis to global nuclear war? 2) How do you best manage your hand of cards to further your own plans while depriving your opponent of options? Work out these dilemmas in order to emerge as victor of the Cuban Missile Crisis after thirteen suspenseful days.